It’s very easy for the garage to become a “catch-all” storage area. Boxes and other items make their way to the garage. You have good intentions to keep the space organized. But before you know it, you end up with no room for what the garage’s actual purpose is – for parking our cars! When you’ve reached this point, it’s time to take action. Set aside enough time to tackle the entire project, rather than doing it in pieces. Depending on the size of your garage (and the mess) it could take a few hours or an entire weekend. Make sure you plan accordingly. #1 – Get things off the ground. This is one of the easiest ways to make any space look organized and more open. 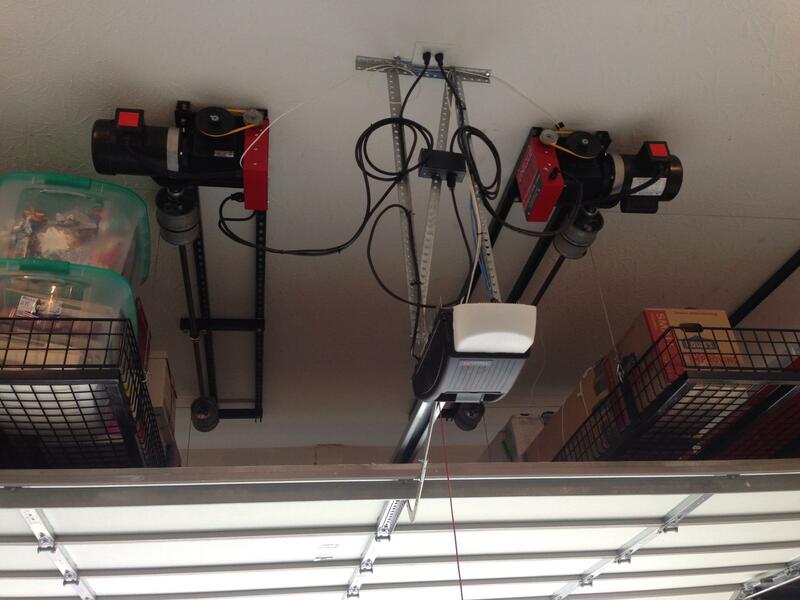 Use this concept in your garage, and take advantage of a garage ceiling storage unit. Our Unique Lift System is the fastest way to make more room in your garage. The basket holds up to 500 pounds, and is safely lowered to the ground at the push of a button. You can also purchase some extra garage shelving to keep items off the ground and organized. # 2 – De-clutter! It seems like clutter is never ending. But a simple system can make it much more manageable. First, decide which items you use regularly. Place those items in an easily-accessible location. Peg board storage could be a good option. Then identify the items that are damaged. Toss those immediately. We have good intentions about repairing items, but in reality we are just too busy to actually do it. Next, identify items you don’t need but could instead donate. For instance, if you have three good rakes, at least one of them can probably go to someone else. #3 – Designate zones or work spaces. It’s likely that your entire family uses the garage in some capacity, so make it easy for everyone to locate what they need. Keep coordinating items grouped together in the garage so you can easily find things when you need them. #4 – Commit to keeping it organized. Once your garage is organized, be sure to keep it that way. Make sure the entire family understands that everything has a place. It’s also wise to do a quick de-cluttering a few times per year. If you do this regularly, you’ll avoid mass amounts of clutter than can build-up. Want to know more about how our Unique Lift can help with your garage organization? Contact us for more information. This entry was posted in Garage Storage Ideas. Bookmark the permalink.